Barbara Gray welcomes in local glass artist Risa Sreden Prince to talk about the Essex Studios, the artist collective/gallery in Walnut Hills that hosts its first Art Walk of the year on March 6-7. 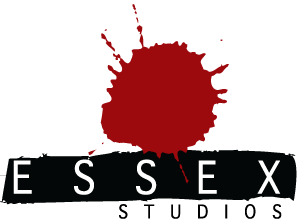 Just in time for your holiday shopping, here comes the Essex Studios Art Walk on December 7 and 8. This collection of artist studios will be open for browsing and shopping, plus it’s a great chance to meet and talk with the creative minds behind the paintings, photographs, textiles, ceramics and more. Our Jim Stump talks with Jared Queen, the marketing director for Essex Studios. Barbara Gray welcomes Sandy Gross and Leah Busch from Cincinnati’s Brazee Street Studios, which houses 25 local artists and offers classes in glass art. They are now moving into children’s books with their new Toast to Counting, the first in a series of board books to inspire creativity in children.